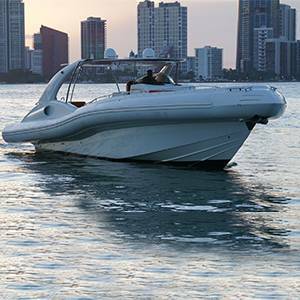 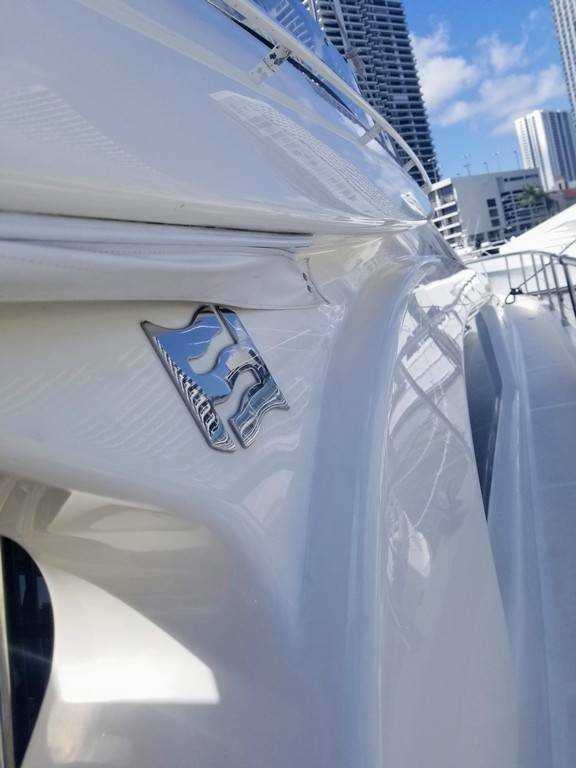 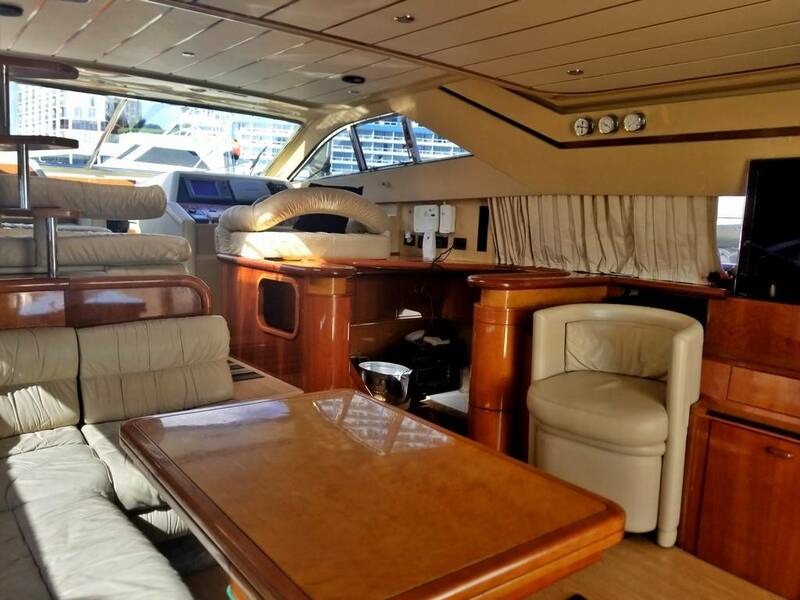 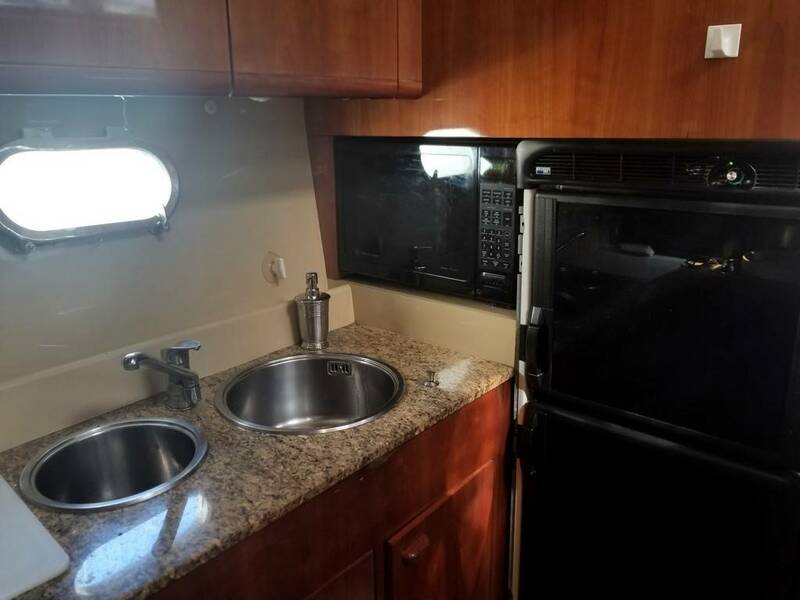 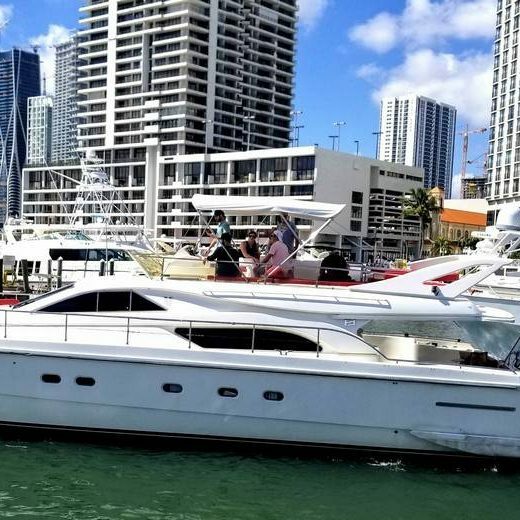 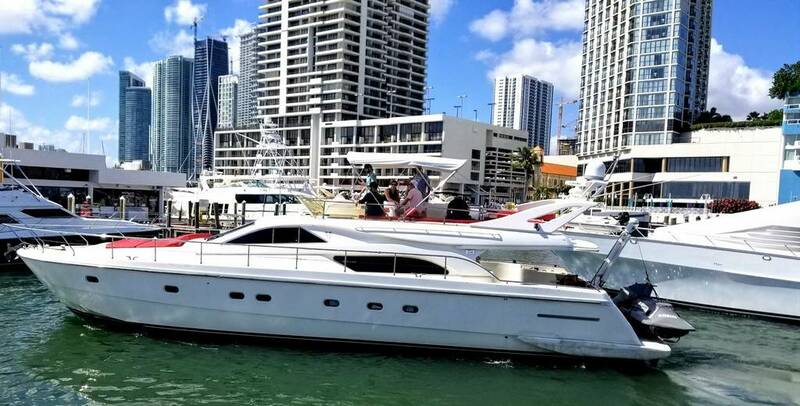 The Ferretti Yachts provides you with luxurious amenities and accommodations that are sure to please whether you've planned a day trip or an extended stay at sea. 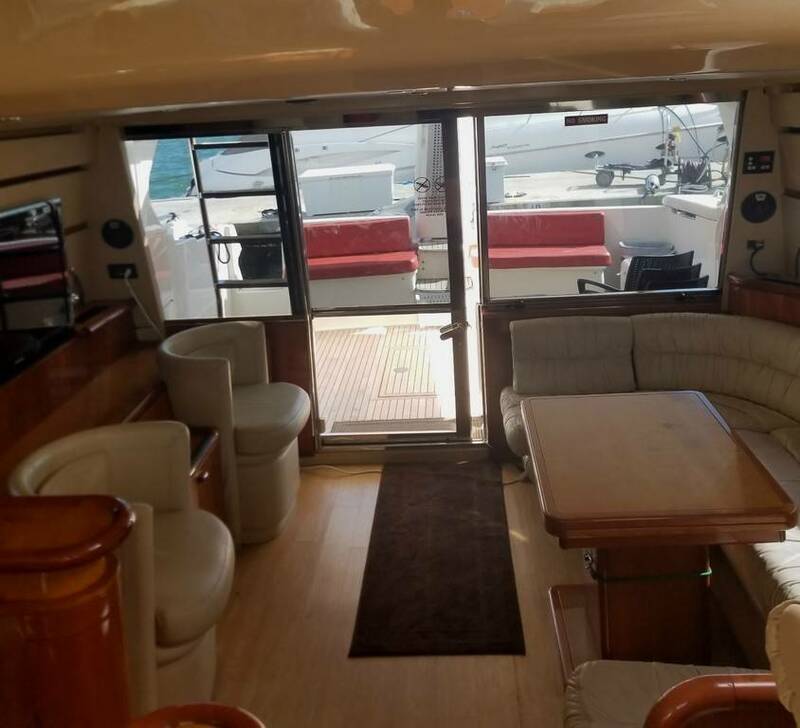 The lower deck is fashioned with four sizable staterooms that offer sleeping accommodations for up to 10 people. 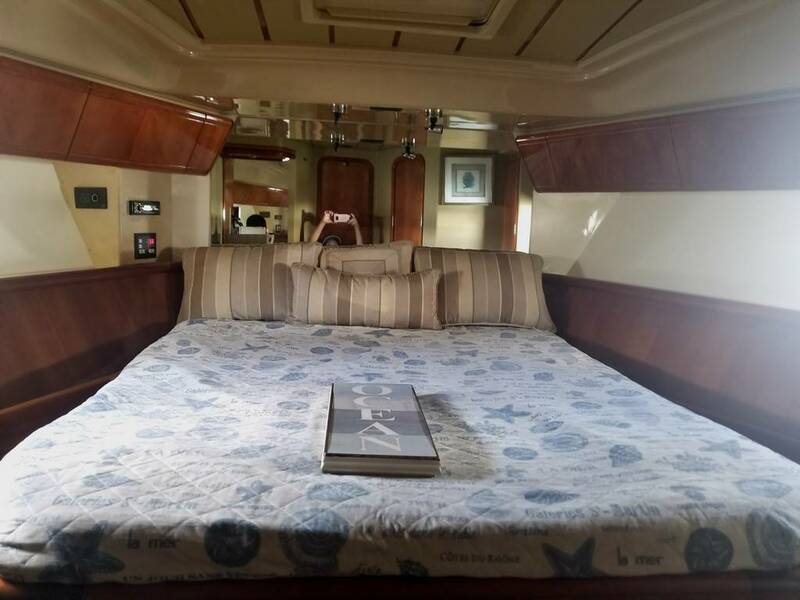 The master bedroom itself comes with two small bathrooms, and each stateroom is fully furnished. 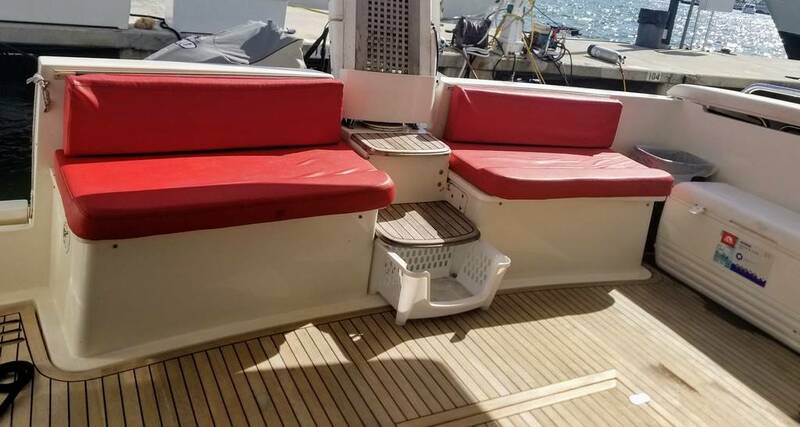 The extended swimming platform at the aft of the yacht is more than large enough to store a PWC while the raised flybridge offers seating for two as well as a modern control platform. 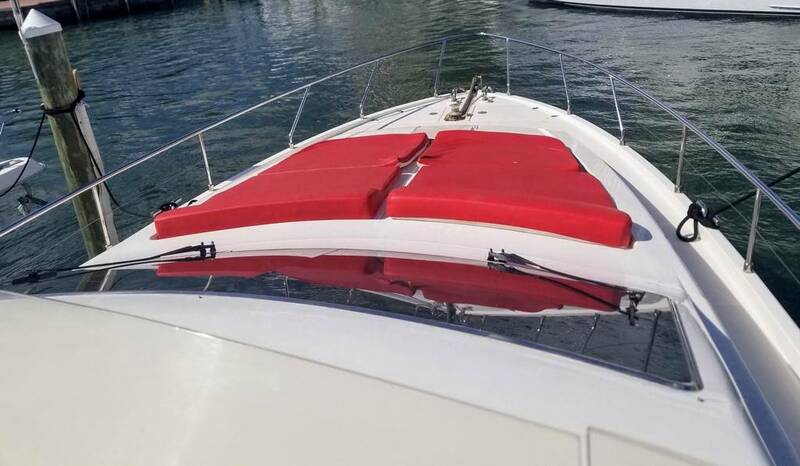 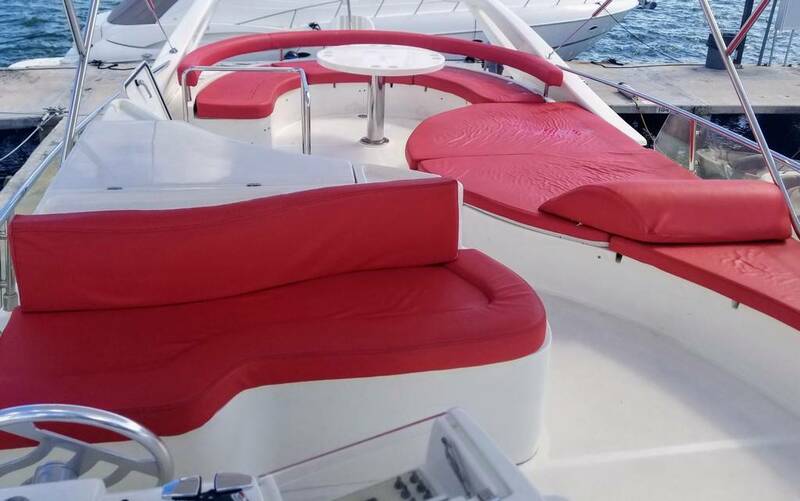 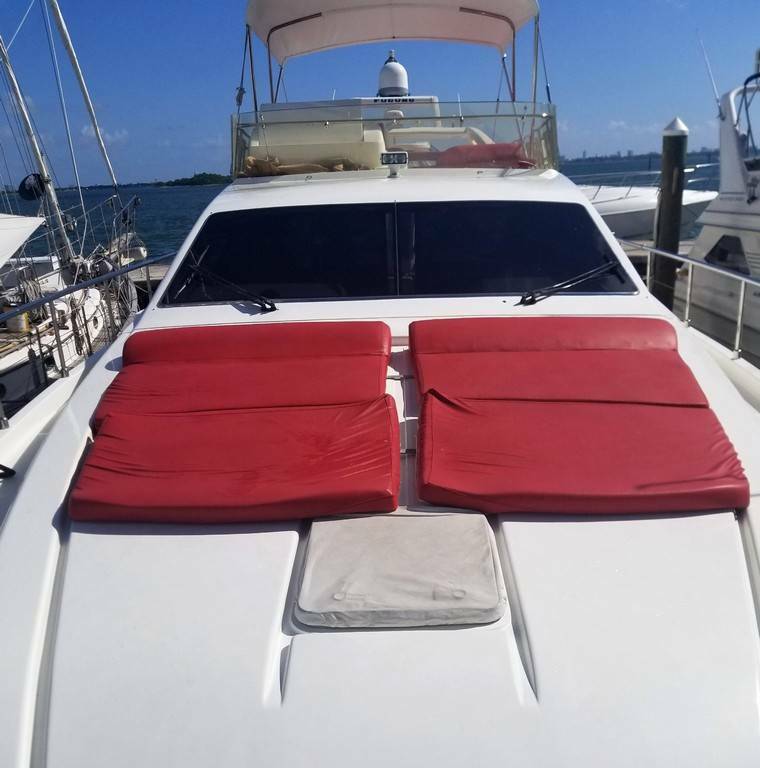 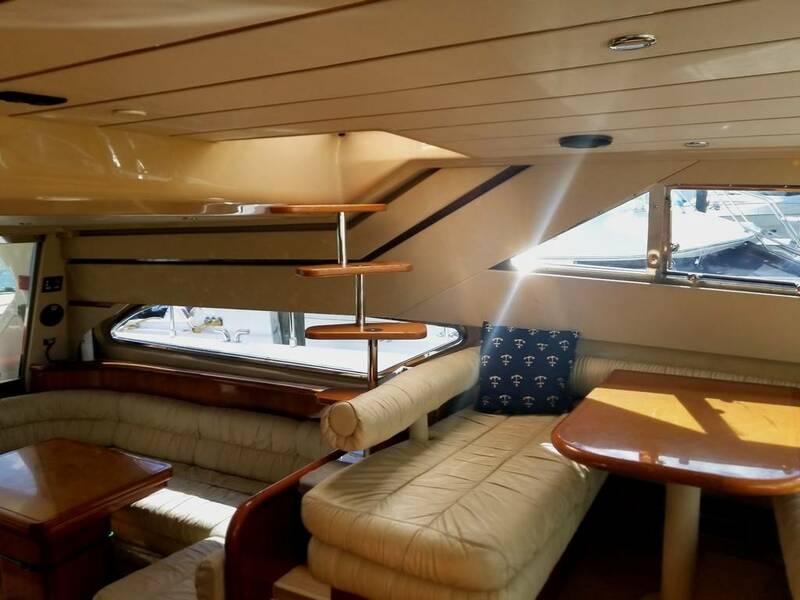 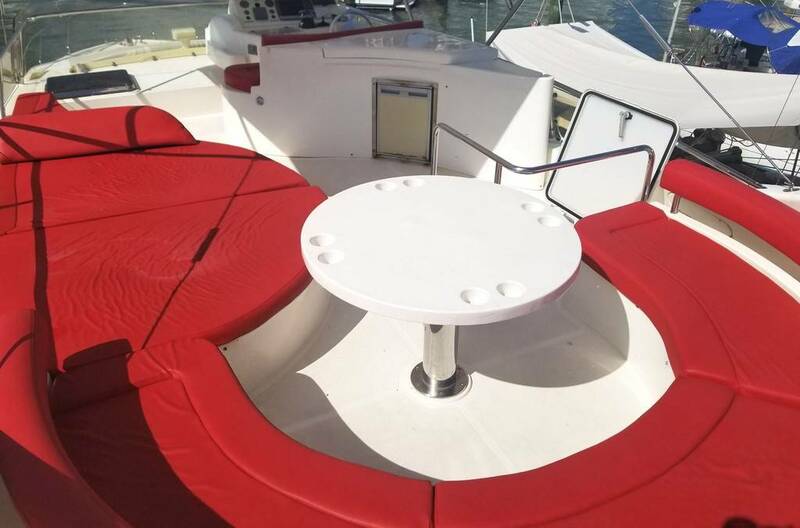 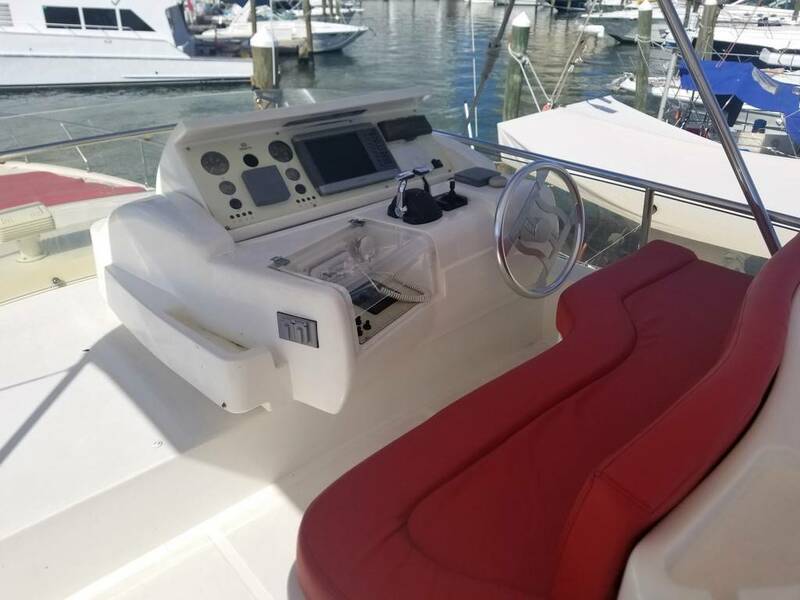 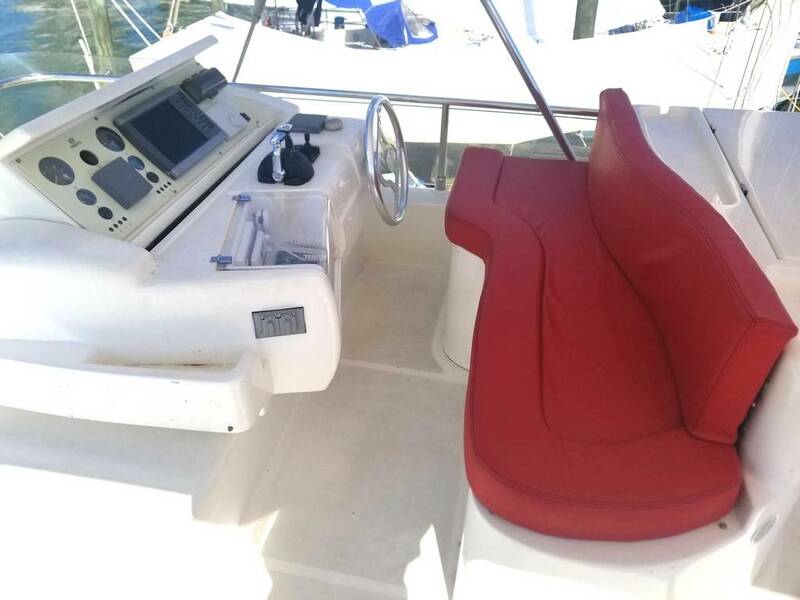 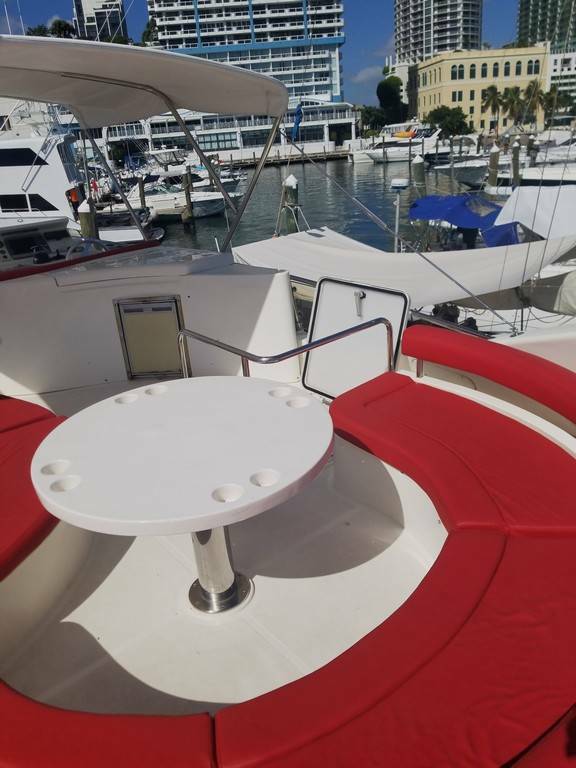 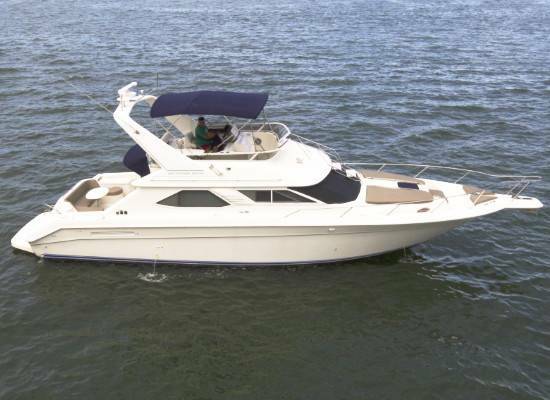 The fore deck is spacious enough to be used as a tanning area. 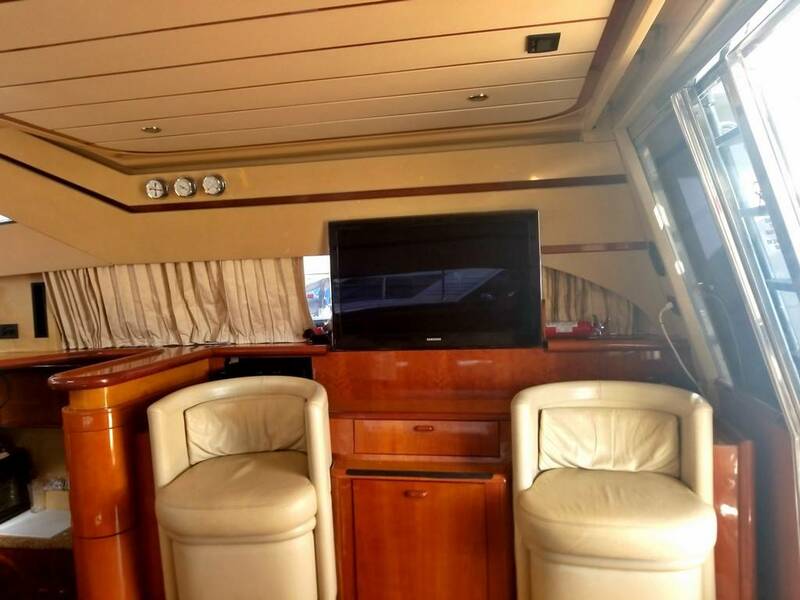 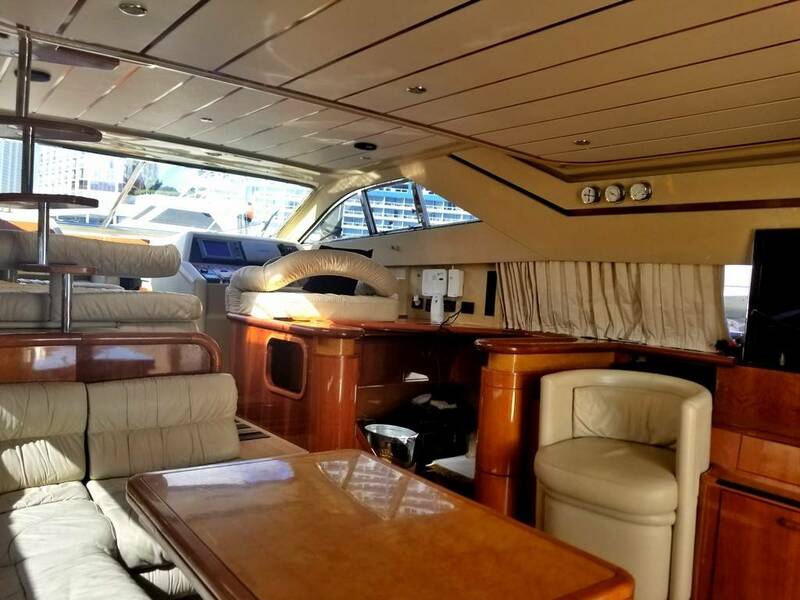 Both the salon and galley are finished with high-quality mahogany woodwork that gives off an elegant and sophisticated feel. 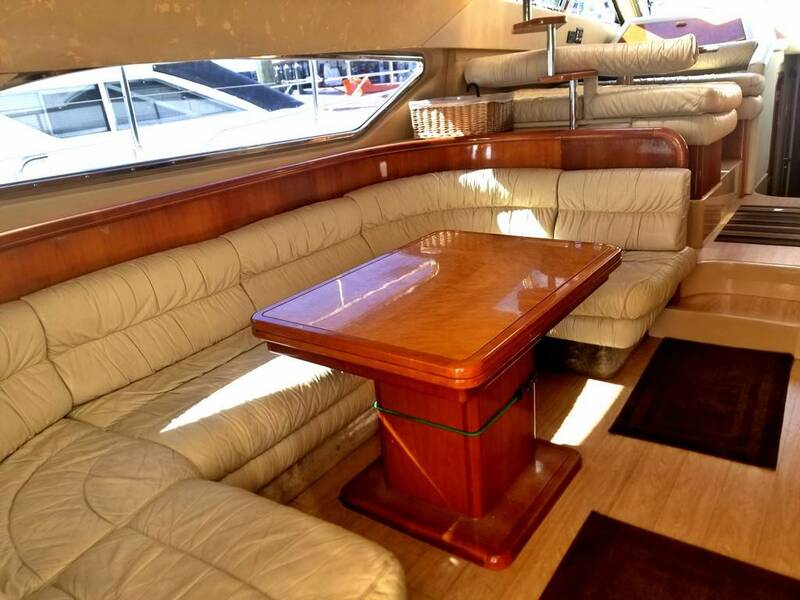 This lavish interior has seating for eight people along with a full dinette.